Mayor Edwin M. Lee today named Kate Hartley as the new Director of the Mayor’s Office of Housing and Community Development (MOHCD). Hartley had been serving in an Interim Director role since June, when former MOHCD Director Olson Lee announced his retirement. The MOHCD is responsible for the creation, preservation and protection of San Francisco’s affordable housing portfolio. 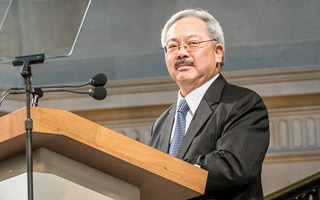 The agency supports the economic and social development of San Francisco’s low-income communities and provides financing for development and rehabilitation projects.